Newcastle Upon Tyne – Covering Tyne and Wear, Northumberland, County Durham and Teeside. Students have the choice of attending two week-night technique classes in either Newcastle or Darlington. All students attend weekend creative classes at Dance City in Newcastle. For young people aged between 10–16 years. Although students should be no more than 16 years of age when they join, once registered they can continue training until they are 18 years of age. The Dance City CAT runs a specialist contemporary dance training programme that enables students to embark on an intensive study of dance alongside their academic education. 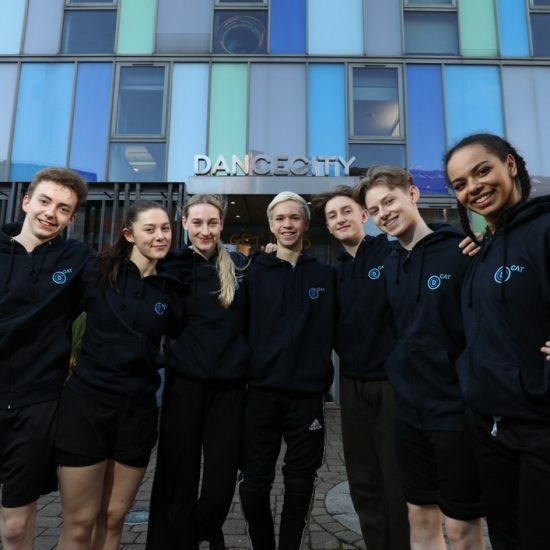 Classes take place at Dance City in Newcastle with weekday provision for students living in the south of the region, taking place in Darlington. Students start with a 7 hours per week timetable, and these hours increase as students progress through the CAT. 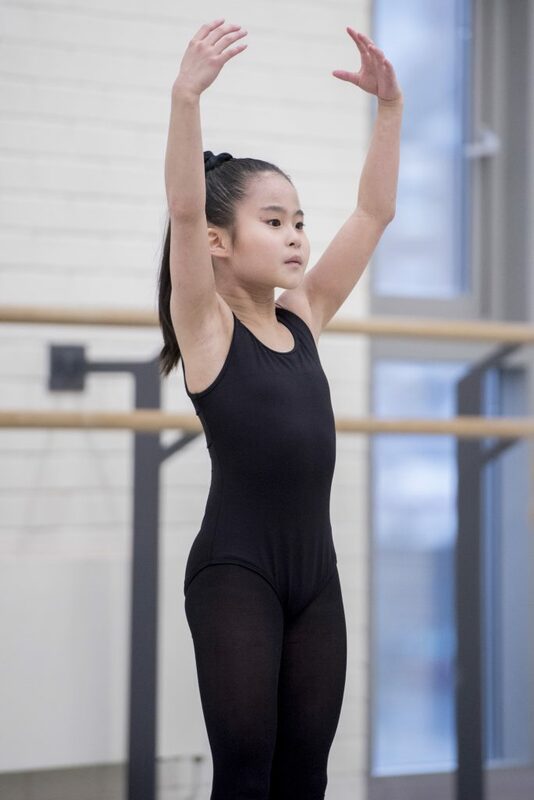 Each student has a minimum of one ballet class, one contemporary class and one creative class per week to support their contemporary dance training. Students are also offered two intensive choreographic periods per year, during school holidays, creating work with nationally renowned choreographers. All students perform three times a year in the Dance City Theatre and attend performances of contemporary dance work in theatres across the region. A Dance City CAT student can expect to work hard and be challenged, both technically and creatively, to ensure that they are making the most of their innate talent and to give them a strong base of knowledge to support them if they choose to go on to vocational dance training. Upon enrolment students are supported by an allocated tutor mentor, and have access to an on site physiotherapist, a student counselor and a Health and Well-Being Coordinator, who work as a team to ensure that all students are supported both physically and emotionally during their time with the CAT. A Dance City CAT Taster Session is an opportunity to find out more about what it is like to be a student at the CAT and help you decide whether or not you are ready to make such a big commitment and if you want to apply for one of the open auditions, although you don’t need to attend a taster session in order to apply for an audition. A Taster Session consists of a half an hour observation of current CAT students taking class, a 1½ hour contemporary class followed by a short break and then a 30 minute presentation about the CAT for both parents and students to attend. We hold FREE Taster Days each year during the February Half Term and the Easter Holidays. Please visit the Dance City CAT Website for the available dates and times. The Dance City CAT holds open 1st Stage Auditions each year in May for entry into the CAT in September of that year. Applicants successful at 1st Stage will be invited back to attend a 2nd Stage Audition in June. To apply for a FREE audition place at the Dance City CAT we require a completed Audition Application form. For further information about Auditions, to download an Application Form and for the available Audition dates and times please visit the Dance City CAT Website.